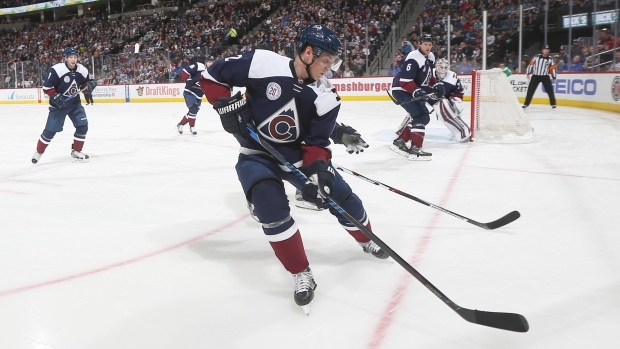 NEW YORK — The New York Rangers have acquired defenceman Nick Holden from the Colorado Avalanche for a fourth-round pick in the 2017 draft. The 29-year-old Holden had six goals and 16 assists and 24 penalty minutes this past season. Holden was second on Colorado in hits and ranked fourth in average ice time this past season. In addition, he was one of five players on Colorado who skated in all of the team's 82 games. Holden has skated in 221 NHL games over parts of five seasons with Columbus and Colorado, with 21 goals and 40 assists. He was originally signed by Columbus as an undrafted free agent on March 28, 2008.